It’s officially summer, and that means beach weather is back, and beckoning folks out onto the sand. 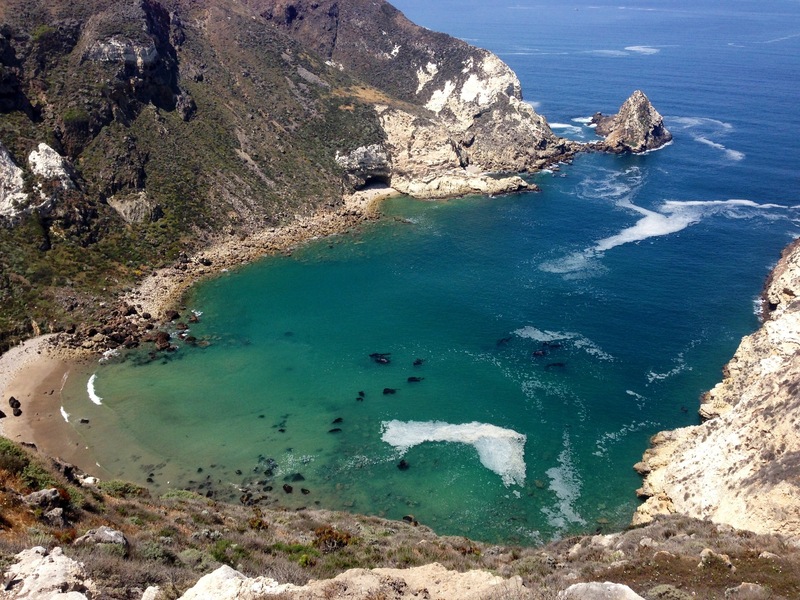 If you’re planning a beach trip in the near future, you’re probably excited, but also dreading the huge crowds that inevitably take over the popular spots. Perhaps it’s my introverted nature, but crowded beaches are my kryptonite. There’s nothing that ruins a fun day in the sun and surf for me like hoards of people taking up every square inch of sand as far as the eye can see. Wouldn’t it be great if there were awesome beaches that were less known, or too hidden for the average beach goer that you could enjoy? Well, as it turns out, there are actually several beaches that fit that description all over the country. I just did a little sleuthing, and found many hidden gems, some in places you’d never expect. Full disclosure: most are not easy to get to (hence why they’re less popular), but if you’re willing to be a bit adventurous, they’re well worth the extra effort. I plan to scope out at least one this summer. If you decide to visit one (or a few), report back, and let me know if they’re as good as they look in pictures! So we’re starting out with a crazy awesome one that’s also crazy hard to get to. It’s literally at the bottom of the Grand Canyon, a mile and a half away from the Havasupai Indian village of Supai, and the only way to get there is by hiking a few miles uphill, hiring a pack mull, or taking a helicopter. But trust me, the trek will be worth it. You’ll get to enjoy your own private, blue water lagoon and red sand beach surrounded by the majestic walls of the grand canyon. Not to mention you’ll have a glorious waterfall to cool off under. You might not think Michigan is the place for great beaches, but this picture should change your tune. It’s 65 miles of uninterrupted shoreline, and beautiful, unspoiled beach. You might be wondering why more people don’t make it a point to visit this gorgeous, protected wilderness. 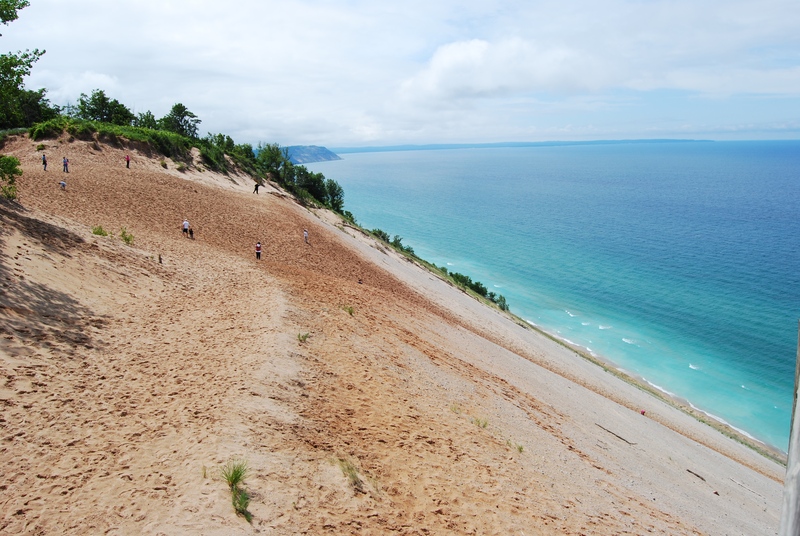 Well, it might be because the beaches are made up of seriously inclined dunes that go 3.5 miles up. However, if you’ve got good hiking shoes, the view at the top is supposed to be spectacular. It takes about an hour to cross the Santa Barbara Channel, and reach the truly breathtaking galapagos that is Santa Cruz Island. The beach is undeveloped, and thus has some treacherous, rocky edges, but if you’ve ever wanted to try swimming through caves, this is the place to do it. This 16 mile-long little island off the coast of Georgia boasts gorgeous white beaches, as well as freshwater and saltwater marshes. The beach is only accessible via designated dune crossings, since the whole area is wilderness protected. You should probably bring a camera, because you will likely see loggerhead turtles, pelicans, wild horses and even an alligator or two. This one may be the coolest thing you’ll see this summer, if you choose to visit that is. The natural jade pool was created when an underground river caved in thousands of years ago. What remains is the edge of a dome that once covered the entire grotto, making for one cool spectacle of a beach. In order to get there, you have to pay a nation park fee of $15, and take a steep quarter-mile trek downhill to the pool. It is a bit more popular than the others on this list, but just look at it. There’s no way I couldn’t include it. You’re probably thinking, this girl’s got a screw loose — there aren’t any beaches in Colorado! Well, as a matter of fact, there are, even if they’re not there year round. In the spring, the snow melts in the nearby mountains, and the water trickles down into the Great Sand Dunes’ valley, creating a wonderful splash pool. But remember, it’s seasonal, and only happens when there’s been a good amount of snowfall in the mountains the previous winter. Be sure to pack snorkeling gear, a camera, and your own water when visiting the Dry Tortugas. Accessible only by boat, this seven island cluster is home to the awesomely cool and abandoned Fort Jefferson, as well as insanely cool marine and bird life. The trip there and back takes about five hours, so plan for a full day of exploration — and very few tourists.